Through products on the JobThread.com web site (the "Services") JobThread ("JobThread") provides recruiters, businesses, web site operators and other individuals a variety of tools and resources to post jobs; distribute jobs to vertical search site and aggregators; create and send online e-mail jobs campaigns, and more. This service may not be used for the sending of unsolicited e-mail (sometimes called "spam"). The following are the terms and conditions for use of the Services. By using the Services, you accept these terms and conditions. JobThread reserves the right to update and change the Terms of Service from time to time without notice. Any new features that augment or enhance the current Service, including the release of new tools and resources, shall be subject to the Terms of Service. Continued use of the Service after any such changes shall constitute your consent to such changes. Violation of any of the terms below will result in the termination of your Account. While JobThread prohibits certain content on the Service, you understand and agree that JobThread cannot be responsible for any content posted on the Service. You agree to use the Service at your own risk. You must provide your legal full name, a valid email address, and any other information requested in order to complete the account creation process. You may not use the Service for any activities related to Multi-level Marketing, whether or not such activities are illegal. Examples of prohibited Multi-level Marketing activities include "Work at Home" and "Data Entry" job postings. You are responsible for maintaining the security of your account and password. JobThread cannot and will not be liable for your failure to comply with this security obligation. JobThread reserves the right at any time and from time to time to modify or discontinue, temporarily or permanently, the Service (or any part thereof) with or without notice. JobThread does not warrant that the service will be uninterrupted, timely, secure, or error-free. You expressly understand and agree that JobThread shall not be liable for any direct, indirect, incidental or other damages, including but not limited to, damages for loss of profits, goodwill, use, data or other intangible losses resulting from: (i) the use or the inability to use the service; (ii) unauthorized access to or alteration of your transmissions or data; (iii) statements or conduct of any third party on the service; (iv) or any other matter relating to the service. To the maximum extent permitted by law, under no circumstances and under no contract or otherwise shall JobThread or any of its underlying service providers, business partners, licensors, employees, distributors or agents (collectively referred to for purposes of this section as "JobThread") be liable to you or any other person for any money damages, whether direct, indirect, special incidental, exemplary or other damages, even if JobThread shall have been informed of the possibility of such damages, or for any claim by any other party. If JobThread is found liable to you for any damages from any cause whatsoever, and regardless of the form of the action, the liability of JobThread to you will be limited to the amount you paid of the Service. The failure of JobThread to exercise or enforce any right or provision of the Terms of Service shall not constitute a waiver of such right or provision. The Terms of Service constitutes the entire agreement between you and JobThread and govern your use of the Service, superceding any prior agreements between you and JobThread (including, but not limited to, any prior versions of the Terms of Service). Questions about the Terms of Service should be sent to support at help@jobthread.com. JobThread does not allow the use of it Service for the purpose of sending Spam (which is unsolicited email sent in bulk or any promotion, information or solicitation that is sent to a person via e-mail without their prior consent, where there is no pre-existing relationship between the sender and the recipient) or any illegal activity. JobThread, at its own discretion, may immediately disable your account and access to the Service without refund if JobThread believes in its sole discretion that you have violated this condition. JobThread has the right to suspend or terminate your account and refuse any and all current or future use of the Service for any reason at any time. Such termination of the Service will result in the deactivation or deletion of your Account. JobThread also reserves the right to refuse service to anyone for any reason at any time. 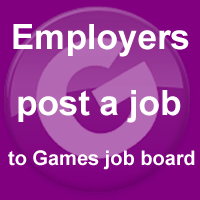 EMPLOYERS If you have jobs to fill, press "Post a Job" and enter your company and job details. Your jobs will appear immediately. © DS Interactive Ltd 2011. All rights reserved.